Think it’s tough to qualify for refinancing your existing mortgage? So does Richard Shin, a Queens attorney with good credit and great income who was turned down by his original lender when he wanted to refinance his 30-year-fixed rate mortgage on his single family brick home to a 15-year-mortgage with a lower interest rate. Due to tighter lender restrictions, he didn’t qualify until he found a lender who let him bring cash to the table to pay down his mortgage. 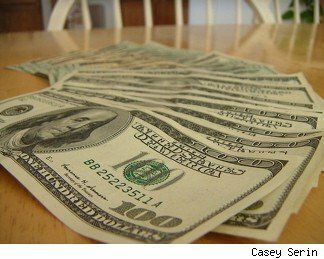 The number of homeowners taking out a refinance is on the decline and may further dip in 2011, according to the Mortgage Bankers Association, but of those who do refinance lenders are seeing a higher percentage come as cash-in borrowers – those refinancers who bring cash to the table in order to seal the deal. “We used to have maybe one borrower a year bring cash to the table, but now we’re seeing three or four a month,” said Matthew Hackett, an underwriting manager with New York City lender Equity Now, which refinanced Shin’s home. Hackett says cash-to-the-table options are being utilized more often because borrowers are needing to lower their loan-to-value ratio if they hope to lower their existing interest rate from somewhere in the upper 5 percent or 6 percent range down to a rate in the 4 percent or lower 5 percent range. This is not just because of tighter lender restrictions, but also because so many homeowners are underwater and owe more on their mortgages than their homes are worth. Shin, whose home appraised at $1,150,000, brought $60,100 to closing as a down payment to cover the difference between his old $560,000 mortgage and his new $499,900 loan, which featured a reduced interest rate from 6.25 percent to 4.75 percent. For others looking to refinance, a cash-in refinance may be their only option, and it’s not as bad as an option as you may think. Although not every one has $60,000 to bring to the table, the amount you do bring will not likely be as high, depending on your goals. 1. Savings accounts aren’t paying anyway. The interest rate on many savings accounts these days hover around 1 percent, whereas your mortgage rate is far higher. Putting a few thousand toward your refinance if it will help you reduce your interest rate a percentage point or more, might be money well spent, especially if you plan on staying in your home awhile. There’s no reason ti put in more than you need to, however, to reduce that rate, says Hackett. 2. Avoid PMI. If you had less than 20 percent equity in your home when you purchased it, there’s a good chance you’re paying private mortgage insurance. When one refinances, this fee typically goes away if the value of your house has increased enough to lower the loan to value ratio. However, in this economy more people are finding that their value has declined. Even those who were not paying PMI might discover upon a refinance that now they need to due to fallen values. Eliminate this fee by bringing cash to the table to cover the difference so that your refi loan is for 80 percent or less than the value of your home. Although refinances are declining, they still make up nearly two-thirds of all mortgage applications. As of the end of November, however, they decreased 21.6 percent from the previous week to 74.9 percent of total applications, their lowest level since June 2010, reports the Mortgage Bankers Association. The pool of eligible borrowers who can refinance is small, and those for whom a refinance is beneficial, have already refinanced or mostly likely will in the near future. This downward trend in refinances will cause a decline in total originations next year, but a greater percentage of refinances will likely come from these cash-in borrowers. Is a cash-in refi right for you? What’s your break-even point? If you opt to do a cash-in refi, Hackett says, determine your break-even point to decide how much will make it worth it. For example, if you bring $15,000 to the table to get an interest rate that saves you $250 per month on your mortgage payment, it would take you 60 months, or 5 years before you’ve reached $15,000 worth of perceived savings. If you think you might sell your home in less than five years, you’re better off keeping your money in the bank rather than pursuing that lower interest rate. However, if you plan on staying longer, your savings will be even greater because of what you’re saving in interest payments by having the lower interest rate.